Can you imagine what would happen if Peter Chung and the immortal H.R.Giger got together over tea and marshmallow peeps one day? I dream of it on and off, and trust me, google is crap when it comes to deciphering dreams. What I think it means is that a creature was out there, living in a comic book, that completely sums up this nightmarishly love child. Razorjack, which I think I’m going to adopt as my super secret undercover name, is officially one of the most amazing science fiction critters to grace my ojos. She comes from the mind of John Higgins, and the series was first published by his own Jack Publishing. Her first appearance was from a fifteen-page script in 1999, and later made her way back to life with the publishing company Com.X. Razorjack is a villainess, through and through. Not one of those wishy-washy characters who change their mind and become good halfway into the story, either. She rules over a her own dimension called Twist, but one is not enough for her. She’s hungry to rule over all dimensions, our very own being the last one she needs to complete her wicked plan. But of course, there are those things, what are they called…heroes in her way. The first being a badass lady named Ross, and her partner, Frame. Both are cops set on doing good in the world, and they get mixed up in Razorjack’s plan for ultimate dimension takeover. The two work for a police department that is severely dysfunctional, and Frame has his suspicions about the authenticity of his own boss, and his suspicions prove to be true. Ross, meanwhile, gets mixed up with him while rescuing innocent people from the claws of RJ. Of course, human enemies aren’t the only adversaries Razorjack has, and Lady Helen, an eternal prisoner of Razorjack’s, is a huge one. 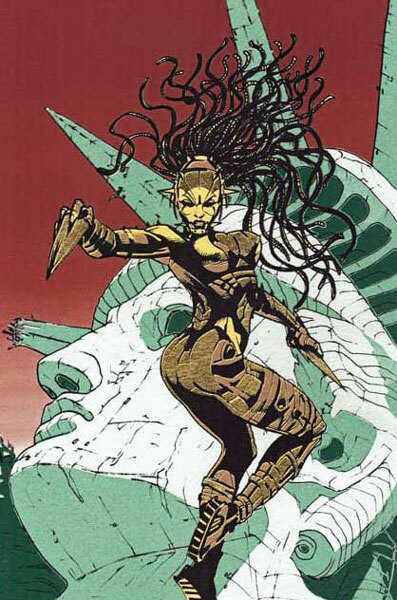 Helen is as good as Razor is badbadbad, and she has the power to “heal” those who are enslaved by Razor. In this case heal means to release them from the villainess’s power, and lets them die a peaceful death. You see, Razorjack can keep those she wants to use and torment “alive”, all while enjoying it. But Helen is the only creature known in all dimensions that is as powerful as Razor, and that presents a big problem. The one big thing standing in RJ’s way is that she has to be invited to our dimension, and Lady Helen of the Veil is quick to shut down her plan of just opening the door for her. But our girl is intelligent, and uses humans as her person puppets by enslaving their minds, and making them do things they would hopefully not do otherwise. By using them to do her bidding, she can use human sacrifices to be invited to take over our dimension. So you can’t say that Razorjack isn’t light in the goals department one bit, and by enslaving every dimension that exists, she can ultimately be ruler of well, everything and everyone. And let’s just say the woman, uh, thing is scary, real scary. 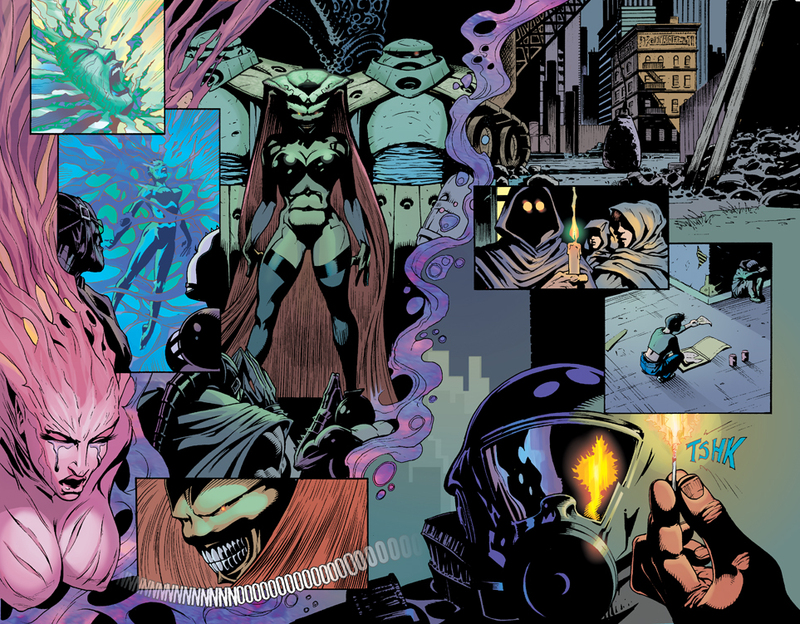 She can seemingly change size, but takes the form as a naked woman with dark inky black skin that is complemented by purple, green, and blue. Her eyes are blazing, and her head takes on a firm shape that sweeps back into a mix between long hair and tendrils. Though the most frightening thing on her is her supremely horrific smile with a mouth full of sharp teeth. Razorjack is an astounding work of science fiction, and looks like the cousin of a Xenomorph. 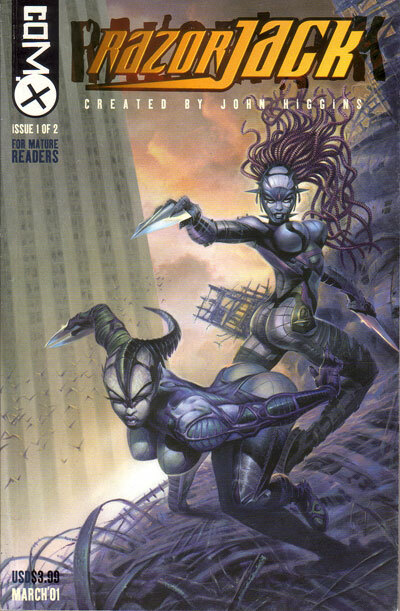 The women that serve her and do her bidding look a bit more human, but are obviously closely related to Razor. 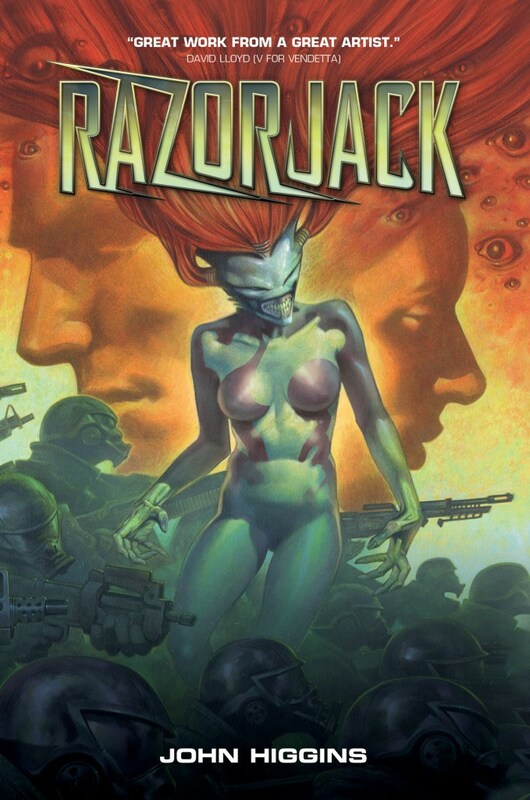 Let’s talk about the covers for Razorjack #1 and #2, shall we? They are amazing. Breathtaking. Gorgeous. Works. Of. Art. Straight out of Sci-Fi heaven, and some of my personal favorite covers in the entire world. Though she only stared in a limited run, Razorjack has set a permanent claw print on the world of alien creatures and science fiction. She is a character who is extremely undervalued, and her story is a unique and different take on good and evil. Razorjack is an interdimensional queen that is no bark, all slice.